The latest survey on drunk shopping suggests that it’s a much more expensive habit than we had imagined. A 2018 survey of 1000 people showed that Americans who shop online under the influence spend over $40 each time they go on Amazon, with gin drinkers leading the pack at $82. Before that, we knew that even teens who engaged in alcohol abuse (abuse since they are technically underage) had a tendency to go online and spend money while buzzed. 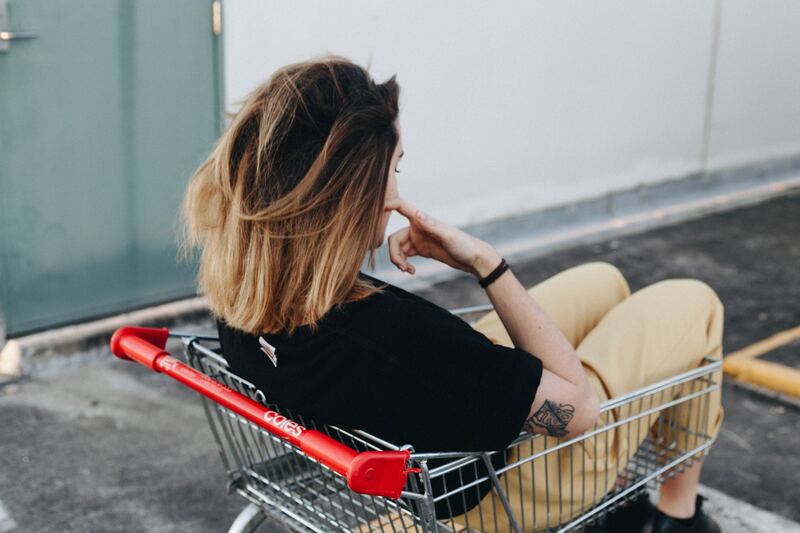 Now, a new and larger survey carried out by the website The Hustle on over 2000 American readers shows that those who drink and shop spend roughly $444 a year online, making drunk shopping a $45 BILLION dollar industry. And, as you might have guessed, Amazon is the biggest winner in all this. Out of the 2,174 participants in the survey, 79% said that had made at least one online purchase while intoxicated. Clothing and shoes were the most common items purchased, despite 53% of the respondents identifying as male (hey, maybe guys do enjoy shopping under the right circumstances!). The survey was carried out over the course of a week in March, with the average respondent being 36 years old and having a relatively high income of $92K (certainly enough to temper some of the buyer’s remorse). Women were 2% more likely to make drunk purchases than men, with Millennials and those making over $100K also the most likely to drunk shop. But even 69% of Baby Boomers indulged in the pastime (and spent the most), along with 68% of those making under $25K a year. When The Hustle broke it down by profession, they found that those who worked in the fields of sports, transport, oil & energy, recruiting, and marketing were the most prolific drunk shoppers, with people from the writing, art, education, computer engineering, and retail engaging in it the least. Only 60% of writers, for example, made inebriated online purchases. The Hustle suggested that it might be because these jobs often fall into lower income brackets. The survey also asked what people were drinking at the time of their purchases, but the results varied by gender. Overall, spirits was the most common category of shopping fuel (with whiskey being the most popular), followed by beer, and then wine. And those who imbibe and shop tend to imbibe almost twice as much as those who engage in this behavior. Still, at 10 drinks per week, drunk shoppers still fell within a normal, “low-risk” range of drinks per week. The geographical data from those surveyed also provided some unexpected info. If we asked you to guess which U.S. states had the most drunk shoppers, would you guess Connecticut and Kentucky? Me neither, but those are the states leading the pack. As for what websites drunk shoppers prefer, Amazon is far and away the most popular. Even allowing for multiple selections, 85% of drunk shoppers identified Amazon as their site of choice while eBay came in second at a mere 21%. Etsy, Target, and Walmart also drew in the inebriated. The fun really begins with reports of what people bought online. This might explain why people chose Amazon, since their return policy seems to be among the most generous (depending on the seller). Do you really want to keep 200 pounds of fresh, 10-foot tall bamboo or a $2,200 pair of night vision goggles? Actually, it appears people do as respondents also reported surprisingly little regret after their drunk purchases – only 6% regretted drunk shopping and 20% reported returning items. The survey didn’t use scientifically sound methodology or a representative snapshot of the American people (these were readers of The Hustle, which caters to those who read articles on expensive goods), but nevertheless it does give us some insight into drinking behaviors, the use of digital devices while under the influence, people’s reliance on Amazon, and even potential substance abuse issues that can be addressed by health workers (or maybe even financial planners). We would also do well to think about how e-commerce might be preying on drunk shoppers or how research like this could convince marketers to start. In the meantime, there’s probably not going to be a lot of sympathy out there for the 30-something sports analyst raking in 100K and buying expensive sneakers online after a few fingers of scotch, but even an unscientific survey could help us formulate better questions for future research into this kind of behavior.